Iran May Have Received as Much as $33.6 Billion in Cash From U.S. In total, "Iran may have received as much as $33.6 billion in cash or in gold and other precious metals," Dubowitz disclosed. 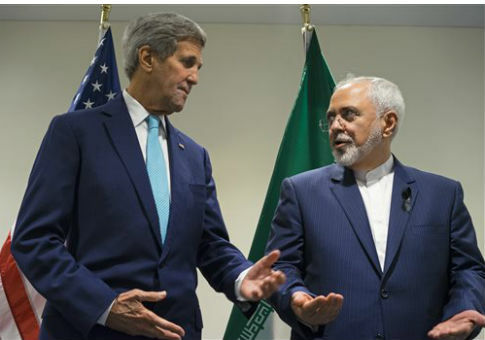 "In July, the Associated Press cited U.S. officials who estimated that Iran ‘brought home less than $20 billion.’ Were these funds repatriated to Tehran in cash or in gold and precious metals? Through the formal financial system? Or through some combination?" Dubowitz asked in his testimony before the House Financial Services Committee. "The administration should also clarify if the $20 billion dollars is inclusive of the $11.9 billion in [Joint Plan of Action] funds, or if the $20 billion was in addition to the $11.9 billion," he said. "Either way, it is important to understand how funds were sent. The worst-case scenario here is that Iran may have received as much as $33.6 billion in cash or in gold and other precious metals." "Iran had to have it in cash," Paul Ahern, assistant general counsel for enforcement and intelligence at the Treasury Department, told lawmakers. "Iran was very aware of the difficulties it would face in accessing and using the funds if they were in any other form than cash, even after the lifting of sanctions." A cash delivery "was the most reliable way that they received the funds in a timely manner and it was the manner preferred by the relative foreign banks," Ahren said. "If the White House could only send cash to Iran from the start of the JPOA period through the Tribunal payment that could amount to a grant total of 33.6 billion," he said. "Did any of this money go through the formal financial system? If so, the administration is not being truthful about the 1.7 billion. If many billions arrived in Iran on pallets [of cash] this would be a pretty astounding revelation." Michael Rubin, a former Pentagon official and expert on rogue regimes, said that cash payments of this nature are "highly irregular." "There’s no reason it needed to be paid now. After all, successive administrations, both Democratic and Republican, have delayed payments so as to avoid funding Iranian terrorism," Rubin said. "Likewise, if the United States freezes accounts linked to al Qaeda or Hamas, releasing it and saying, ‘It’s their money anyway,’ would not be a tenable explanation. Cash payments are highly irregular." The Iranians have been clear that they "perceived the payment to be a ransom" despite the administration’s protestations, Rubin explained. "Not only has the delivery of the millions of dollars been perceived as a ransom, provided as an incentive to seize more hostages …. but because the money was delivered in cash the payment bolstered the strength of the Islamic Revolutionary Guard Corps and augmented its ability to finance and conduct terrorism," he said.